Hello dollies! How's your day? Mine's super! Got inspired from so many nail art tutorials from Youtube and started making mine. coz I tend to bite them. Haha. 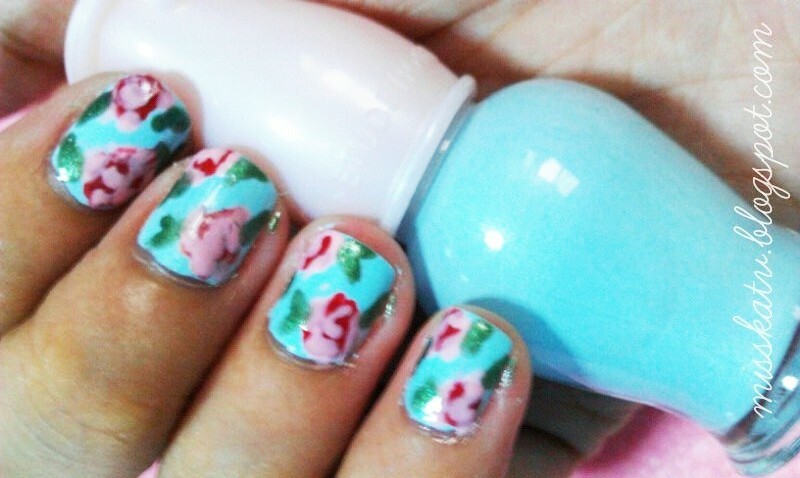 Most polishes that are used are from Etude House. Anyway, let's start my short tutorial! This design is inspired from Emerald Sparkled and from my floral theme. w0w,love it! And I have the same nail polish :D love the color!! wow! At first, I thought that this was done in a nail salon. This is really good! this one is a bit complicated. im gonna need a lot of practicing for this! SOOO pretty! i wish i had green nail polish so i can do this! Another gorgeous nail colour!! so it's Etude house? I didn't know they made nail polish! super lady-like! i love it! love it !!! will subcribe on youtube. this is soooo pretty! :) awesome! Wow, that's an awesome design! Don't bite your nails! Like it a lot! and your tutorial makes it look easy as a breeze! OHMYGOSH! I am so in love with this nail art! It's so pretty!! this makes me want to stop biting my nails. hehe great work! wow you're talented! Fantastic blog! Btw, I've given you an award. (: Congrats! There are super pretty! I love how they look, so feminine and vintage. Art for your nails! Great demo. Like the light blue nail polish! Nesessary for this summer! I love love love this nails!! You can go as quickly as you want or as slowly as you need while using this method. You can use this technique for many bad habits, but today we will concentrate on the bad habit of biting your fingernails. Here are a variety of remedies that show you how to repel ticks naturally.